Perceptions can not run without you! Perceptions’ many programs, projects, and events can only continue with your strong financial support. We ask you consider donating to help make us successful. We are a 501c(3) charitable organization; so donations are tax deductible. Perceptions funds support the LGBT and Ally community in the Great Lakes Bay Region. You set the amount of your annual or monthly donation! Your donation is tax deductible! . You choose your level of support annually or monthly to meet your specific situation! Check/Cash to Perceptions, P.O. Box 1525, Midland, MI, 48641. Please use this Donation-Form to send your donation. An easy way to support Perceptions is by joining your company’s United Way Campaign and taking advantage of payroll deduction or other contribution options. The United Way will collect and forward your contributions on either a quarterly or annual basis, keeping only a handling fee for its efforts. Contributions to the United Way are tax deductible. Consider making Perceptions (Official Name: Saginaw Valley GLBT Group, Inc.) your designated non-profit! Just ask your United Way Campaign Director for the non-profit designation section of the sign-up form. Did you know you can support your favorite non-profit every time you shop on Amazon? It’s easy to do. Visit smile.amazon.com and designate Saginaw Valley GLBT Group, Inc. (d.b.a. Perceptions) as your charity of choice. For every eligible purchase, Amazon donates a percentage of your order to your designated charity. Remember, you have to use smile.amazon.com for your purchase to be eligible! 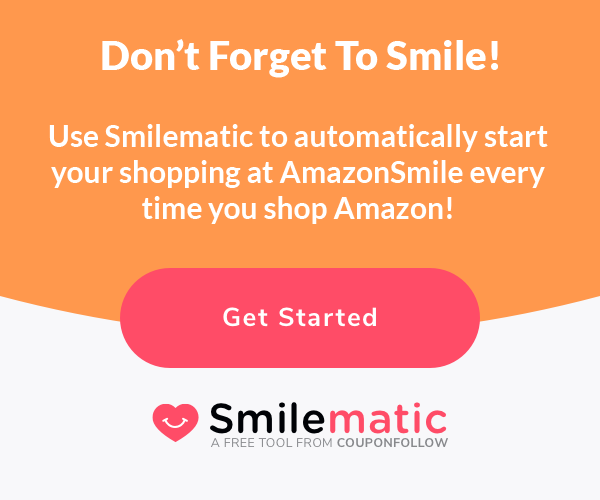 Smilematic is a free Internet Browser extension that will automatically turn your everyday Amazon purchases into AmazonSmile donations. You’ll never again miss an opportunity to raise money for your favorite charity. Established in 2007, the Perceptions Scholarship Fund at the Saginaw Community Foundation is awarded each May to a Michigan resident who has demonstrated a passion for promoting mutual respect and acceptance across borders of race, religion, sexual orientation, gender identity, and gender expression. Donations designated for the scholarship fund can be made online, by mail to Perceptions, or directly to the Saginaw Community Foundation with the Perceptions Scholarship Fund in the check memo. with a PayPal account or a credit card. A PayPal account is not required. Be sure to select Perceptions Scholarship from the drop-down menu.